Searching for a used car dealer near Hamden? 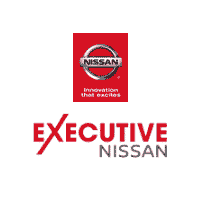 With 85 used vehicles for sale, Executive Nissan has you covered. Choose from popular used Nissan models like the Nissan Rogue, Nissan Sentra, and Nissan Altima, or browse our large inventory of non-Nissan used vehicles. If you’re on a tight budget, browse our selection of vehicles priced under 10K. For New Haven drivers looking for a pre-owned Nissan that offers some of the benefits of buying a brand new vehicle, we offer a selection of Certified Pre-Owned cars, trucks, and SUVs. 2013 Nissan Altima 2.5 SV ** CARFAX One-Owner. Clean CARFAX. **BLUETOOTH**, CARFAX 1 OWNER, *BACK UP CAMERA*, ALLOYS * P/W/L. Executive Jeep Nissan , a short drive from MA, NY, RI, NJ, and VT. Our guests enjoy an exceptional shopping experience with our courteous, knowledgeable staff. Our accelerated sales process respects your time, and our transparent fair market pricing takes the hassle out of car shopping. Every vehicle is provided with the safety inspection and complimentary history reports. To make your life a little easier, we are even open Sundays for sales and service by appointment. Thank you for visiting Executive Jeep Nissan. Since 1972 we have served the Hartford, New Haven, Berlin, Guilford, Wallingford and North Haven areas and have helped new car and used car buyers find the perfect vehicles to drive home in. After decades of service to our customers, we have become synonymous with providing a quality selection, excellent prices, and friendly service. Our Difference is the Key! *Price excludes state and local tax, registration fees, and dealer conveyance fee or processing fee. Internet pricing includes all incentives and rebates. Special offers and pricing can only be applied to MSRP. 2014 Nissan Sentra SR **BLUETOOTH**, **NISSAN CERTIFIED**, Super Low Miles!, *BACK UP CAMERA*. Nissan Certified Pre-Owned Details: * Warranty Deductible: $50 * Roadside Assistance * Limited Warranty: 84 Month/100,000 Mile (whichever comes first) from original in-service date * Includes Car Rental and Trip Interruption Reimbursement * Vehicle History * 167 Point Inspection * Transferable Warranty (between private parties) Executive Jeep Nissan , a short drive from MA, NY, RI, NJ, and VT. Our guests enjoy an exceptional shopping experience with our courteous, knowledgeable staff. Our accelerated sales process respects your time, and our transparent fair market pricing takes the hassle out of car shopping. Every vehicle is provided with the safety inspection and complimentary history reports. To make your life a little easier, we are even open Sundays for sales and service by appointment. Price includes Nmac incentive. Must finance through NMAC to qualify for incentive. 2017 Nissan Versa Note S Plus ** CARFAX One-Owner. **BLUETOOTH**, CARFAX 1 OWNER, Super Low Miles!. Nissan Certified Pre-Owned Details: * Roadside Assistance * Transferable Warranty (between private parties) * Warranty Deductible: $50 * Limited Warranty: 84 Month/100,000 Mile (whichever comes first) from original in-service date * Includes Car Rental and Trip Interruption Reimbursement * 167 Point Inspection * Vehicle History Executive Jeep Nissan , a short drive from MA, NY, RI, NJ, and VT. Our guests enjoy an exceptional shopping experience with our courteous, knowledgeable staff. Our accelerated sales process respects your time, and our transparent fair market pricing takes the hassle out of car shopping. Every vehicle is provided with the safety inspection and complimentary history reports. To make your life a little easier, we are even open Sundays for sales and service by appointment. 2013 Nissan Pathfinder S **BLUETOOTH**, **4X4**, **ALL WHEEL DRIVE**, NEW CAR TRADE, P/WINDOW/LOCKS, 3RD ROW *ALLOYS**. Executive Jeep Nissan , a short drive from MA, NY, RI, NJ, and VT. Our guests enjoy an exceptional shopping experience with our courteous, knowledgeable staff. Our accelerated sales process respects your time, and our transparent fair market pricing takes the hassle out of car shopping. Every vehicle is provided with the safety inspection and complimentary history reports. To make your life a little easier, we are even open Sundays for sales and service by appointment. Price includes Nmac incentive. Must finance through NMAC to qualify for incentive. 2015 Nissan Sentra SV 88 CARFAX One-Owner. Clean CARFAX. 2015 Nissan Sentra SV Titanium, **BLUETOOTH**, **NISSAN CERTIFIED**, CARFAX 1 OWNER, Super Low Miles!, *BACK UP CAMERA*. Nissan Certified Pre-Owned Details: * Transferable Warranty (between private parties) * Limited Warranty: 84 Month/100,000 Mile (whichever comes first) from original in-service date * Vehicle History * Roadside Assistance * Includes Car Rental and Trip Interruption Reimbursement * Warranty Deductible: $50 * 167 Point Inspection Executive Jeep Nissan , a short drive from MA, NY, RI, NJ, and VT. Our guests enjoy an exceptional shopping experience with our courteous, knowledgeable staff. Our accelerated sales process respects your time, and our transparent fair market pricing takes the hassle out of car shopping. Every vehicle is provided with the safety inspection and complimentary history reports. To make your life a little easier, we are even open Sundays for sales and service by appointment. Price includes Nmac incentive. Must finance through NMAC to qualify for incentive. 2016 Nissan Altima 2.5 S ** Clean CARFAX. **BLUETOOTH**, **NISSAN CERTIFIED**P/W/L** ABS brakes, Electronic Stability Control, Illuminated entry, Low tire pressure warning, Remote keyless entry, Traction control. Nissan Certified Pre-Owned Details: * Roadside Assistance * Warranty Deductible: $50 * 167 Point Inspection * Transferable Warranty (between private parties) * Vehicle History * Includes Car Rental and Trip Interruption Reimbursement * Limited Warranty: 84 Month/100,000 Mile (whichever comes first) from original in-service date Executive Jeep Nissan , a short drive from MA, NY, RI, NJ, and VT. Our guests enjoy an exceptional shopping experience with our courteous, knowledgeable staff. Our accelerated sales process respects your time, and our transparent fair market pricing takes the hassle out of car shopping. Every vehicle is provided with the safety inspection and complimentary history reports. To make your life a little easier, we are even open Sundays for sales and service by appointment. Price includes Nmac incentive. Must finance through NMAC to qualify for incentive. 2015 Nissan Altima 2.5 SV **BLUETOOTH**, **NISSAN CERTIFIED**, *BACK UP CAMERA*, **ALLOYS*, 2.5L I4 DOHC 16V. Nissan Certified Pre-Owned Details: * Includes Car Rental and Trip Interruption Reimbursement * Transferable Warranty (between private parties) * Roadside Assistance * 167 Point Inspection * Warranty Deductible: $50 * Limited Warranty: 84 Month/100,000 Mile (whichever comes first) from original in-service date * Vehicle History Executive Jeep Nissan , a short drive from MA, NY, RI, NJ, and VT. Our guests enjoy an exceptional shopping experience with our courteous, knowledgeable staff. Our accelerated sales process respects your time, and our transparent fair market pricing takes the hassle out of car shopping. Every vehicle is provided with the safety inspection and complimentary history reports. To make your life a little easier, we are even open Sundays for sales and service by appointment. Price includes Nmac incentive. Must finance through NMAC to qualify for incentive. 2016 Nissan Sentra SV ** CARFAX One-Owner. Clean CARFAX. **BLUETOOTH**, **NISSAN CERTIFIED**, CARFAX 1 OWNER, Super Low Miles!, *BACK UP CAMERA*, Outside temperature display. Nissan Certified Pre-Owned Details: * Roadside Assistance * Warranty Deductible: $50 * Includes Car Rental and Trip Interruption Reimbursement * 167 Point Inspection * Transferable Warranty (between private parties) * Limited Warranty: 84 Month/100,000 Mile (whichever comes first) from original in-service date * Vehicle History Executive Jeep Nissan , a short drive from MA, NY, RI, NJ, and VT. Our guests enjoy an exceptional shopping experience with our courteous, knowledgeable staff. Our accelerated sales process respects your time, and our transparent fair market pricing takes the hassle out of car shopping. Every vehicle is provided with the safety inspection and complimentary history reports. To make your life a little easier, we are even open Sundays for sales and service by appointment. Price includes Nmac incentive. Must finance through NMAC to qualify for incentive. 2015 Nissan Altima 2.5 S **CARFAX One-Owner. **JEEP CERTIFIED**, CARFAX 1 OWNER, Super Low Miles!. Nissan Certified Pre-Owned Details: * 167 Point Inspection * Limited Warranty: 84 Month/100,000 Mile (whichever comes first) from original in-service date * Warranty Deductible: $50 * Transferable Warranty (between private parties) * Includes Car Rental and Trip Interruption Reimbursement * Roadside Assistance * Vehicle History Executive Jeep Nissan , a short drive from MA, NY, RI, NJ, and VT. Our guests enjoy an exceptional shopping experience with our courteous, knowledgeable staff. Our accelerated sales process respects your time, and our transparent fair market pricing takes the hassle out of car shopping. Every vehicle is provided with the safety inspection and complimentary history reports. To make your life a little easier, we are even open Sundays for sales and service by appointment. Price includes Nmac incentive. Must finance through NMAC to qualify for incentive. 2015 Nissan Juke SV Super Black CARFAX One-Owner. Clean CARFAX **BLUETOOTH**, **NISSAN CERTIFIED**, CARFAX 1 OWNER, **ALL WHEEL DRIVE**, *BACK UP CAMERA*. Nissan Certified Pre-Owned Details: * Includes Car Rental and Trip Interruption Reimbursement * Vehicle History * Warranty Deductible: $50 * Roadside Assistance * Limited Warranty: 84 Month/100,000 Mile (whichever comes first) from original in-service date * 167 Point Inspection * Transferable Warranty (between private parties) Executive Jeep Nissan , a short drive from MA, NY, RI, NJ, and VT. Our guests enjoy an exceptional shopping experience with our courteous, knowledgeable staff. Our accelerated sales process respects your time, and our transparent fair market pricing takes the hassle out of car shopping. Every vehicle is provided with the safety inspection and complimentary history reports. To make your life a little easier, we are even open Sundays for sales and service by appointment. Price includes Nmac incentive. Must finance through NMAC to qualify for incentive. 2015 Nissan Rogue Select S ** Clean CARFAX. **BLUETOOTH**, **NISSAN CERTIFIED**, Super Low Miles!, **ALL WHEEL DRIVE**, *BACK UP CAMERA*. Nissan Certified Pre-Owned Details: * Transferable Warranty (between private parties) * Roadside Assistance * Vehicle History * Limited Warranty: 84 Month/100,000 Mile (whichever comes first) from original in-service date * Includes Car Rental and Trip Interruption Reimbursement * 167 Point Inspection * Warranty Deductible: $50 Executive Jeep Nissan , a short drive from MA, NY, RI, NJ, and VT. Our guests enjoy an exceptional shopping experience with our courteous, knowledgeable staff. Our accelerated sales process respects your time, and our transparent fair market pricing takes the hassle out of car shopping. Every vehicle is provided with the safety inspection and complimentary history reports. To make your life a little easier, we are even open Sundays for sales and service by appointment. Price includes Nmac incentive. Must finance through NMAC to qualify for incentive. 2015 Nissan Altima 2.5 S Brilliant Silver CARFAX One-Owner. Clean CARFAX. **BLUETOOTH**, **NISSAN CERTIFIED**, CARFAX 1 OWNER, Super Low Miles!. Nissan Certified Pre-Owned Details: * 167 Point Inspection * Limited Warranty: 84 Month/100,000 Mile (whichever comes first) from original in-service date * Warranty Deductible: $50 * Roadside Assistance * Vehicle History * Includes Car Rental and Trip Interruption Reimbursement * Transferable Warranty (between private parties) Executive Jeep Nissan , a short drive from MA, NY, RI, NJ, and VT. Our guests enjoy an exceptional shopping experience with our courteous, knowledgeable staff. Our accelerated sales process respects your time, and our transparent fair market pricing takes the hassle out of car shopping. Every vehicle is provided with the safety inspection and complimentary history reports. To make your life a little easier, we are even open Sundays for sales and service by appointment. Price includes Nmac incentive. Must finance through NMAC to qualify for incentive. 2015 Nissan Altima 2.5 SV ** CARFAX One-Owner. Clean CARFAX. **BLUETOOTH**, **NISSAN CERTIFIED**, CARFAX 1 OWNER, Super Low Miles!, *ACCIDENT FREE CARFAX*, *NEW ARRIVAL*. Nissan Certified Pre-Owned Details: * Includes Car Rental and Trip Interruption Reimbursement * Warranty Deductible: $50 * Roadside Assistance * Limited Warranty: 84 Month/100,000 Mile (whichever comes first) from original in-service date * 167 Point Inspection * Transferable Warranty (between private parties) * Vehicle History Executive Jeep Nissan , a short drive from MA, NY, RI, NJ, and VT. Our guests enjoy an exceptional shopping experience with our courteous, knowledgeable staff. Our accelerated sales process respects your time, and our transparent fair market pricing takes the hassle out of car shopping. Every vehicle is provided with the safety inspection and complimentary history reports. To make your life a little easier, we are even open Sundays for sales and service by appointment. Price includes Nmac incentive. Must finance through NMAC to qualify for incentive. 2017 Nissan Altima 2.5 S Super Black **BLUETOOTH**, **NISSAN CERTIFIED**, Super Low Miles!, *BACK UP CAMERA*. Nissan Certified Pre-Owned Details: * Roadside Assistance * Warranty Deductible: $50 * Includes Car Rental and Trip Interruption Reimbursement * Limited Warranty: 84 Month/100,000 Mile (whichever comes first) from original in-service date * Transferable Warranty (between private parties) * Vehicle History * 167 Point Inspection Executive Jeep Nissan , a short drive from MA, NY, RI, NJ, and VT. Our guests enjoy an exceptional shopping experience with our courteous, knowledgeable staff. Our accelerated sales process respects your time, and our transparent fair market pricing takes the hassle out of car shopping. Every vehicle is provided with the safety inspection and complimentary history reports. To make your life a little easier, we are even open Sundays for sales and service by appointment. Price includes Nmac incentive. Must finance through NMAC to qualify for incentive. 2017 Nissan Altima 2.5 SV Pearl White CARFAX One-Owner. Clean CARFAX. **BLUETOOTH**, **NISSAN CERTIFIED**, **HEATED SEATS**, CARFAX 1 OWNER, Super Low Miles!, *BACK UP CAMERA*, *ACCIDENT FREE CARFAX*. Nissan Certified Pre-Owned Details: * Limited Warranty: 84 Month/100,000 Mile (whichever comes first) from original in-service date * 167 Point Inspection * Transferable Warranty (between private parties) * Vehicle History * Includes Car Rental and Trip Interruption Reimbursement * Warranty Deductible: $50 * Roadside Assistance Executive Jeep Nissan , a short drive from MA, NY, RI, NJ, and VT. Our guests enjoy an exceptional shopping experience with our courteous, knowledgeable staff. Our accelerated sales process respects your time, and our transparent fair market pricing takes the hassle out of car shopping. Every vehicle is provided with the safety inspection and complimentary history reports. To make your life a little easier, we are even open Sundays for sales and service by appointment. Price includes Nmac incentive. Must finance through NMAC to qualify for incentive. 2016 Nissan Rogue S ** CARFAX One-Owner. **BLUETOOTH**, **NISSAN CERTIFIED**, Super Low Miles!, **ALL WHEEL DRIVE**. Nissan Certified Pre-Owned Details: * 167 Point Inspection * Limited Warranty: 84 Month/100,000 Mile (whichever comes first) from original in-service date * Includes Car Rental and Trip Interruption Reimbursement * Warranty Deductible: $50 * Vehicle History * Transferable Warranty (between private parties) * Roadside Assistance Executive Jeep Nissan , a short drive from MA, NY, RI, NJ, and VT. Our guests enjoy an exceptional shopping experience with our courteous, knowledgeable staff. Our accelerated sales process respects your time, and our transparent fair market pricing takes the hassle out of car shopping. Every vehicle is provided with the safety inspection and complimentary history reports. To make your life a little easier, we are even open Sundays for sales and service by appointment. Price includes Nmac incentive. Must finance through NMAC to qualify for incentive. 2016 Nissan Altima 2.5 SR** CARFAX One-Owner. **BLUETOOTH**, **NISSAN CERTIFIED**, CARFAX 1 OWNER, Super Low Miles!, *BACK UP CAMERA*. Nissan Certified Pre-Owned Details: * Transferable Warranty (between private parties) * Vehicle History * Roadside Assistance * Warranty Deductible: $50 * Includes Car Rental and Trip Interruption Reimbursement * Limited Warranty: 84 Month/100,000 Mile (whichever comes first) from original in-service date * 167 Point Inspection Executive Jeep Nissan , a short drive from MA, NY, RI, NJ, and VT. Our guests enjoy an exceptional shopping experience with our courteous, knowledgeable staff. Our accelerated sales process respects your time, and our transparent fair market pricing takes the hassle out of car shopping. Every vehicle is provided with the safety inspection and complimentary history reports. To make your life a little easier, we are even open Sundays for sales and service by appointment. Price includes Nmac incentive. Must finance through NMAC to qualify for incentive. 2016 Nissan Rogue S**CARFAX One-Owner. Clean CARFAX. **BLUETOOTH**, **NISSAN CERTIFIED**, CARFAX 1 OWNER, Super Low Miles!, **ALL WHEEL DRIVE**, *BACK UP CAMERA*. Nissan Certified Pre-Owned Details: * Includes Car Rental and Trip Interruption Reimbursement * Transferable Warranty (between private parties) * Limited Warranty: 84 Month/100,000 Mile (whichever comes first) from original in-service date * Vehicle History * Warranty Deductible: $50 * Roadside Assistance * 167 Point Inspection Executive Jeep Nissan , a short drive from MA, NY, RI, NJ, and VT. Our guests enjoy an exceptional shopping experience with our courteous, knowledgeable staff. Our accelerated sales process respects your time, and our transparent fair market pricing takes the hassle out of car shopping. Every vehicle is provided with the safety inspection and complimentary history reports. To make your life a little easier, we are even open Sundays for sales and service by appointment. Price includes Nmac incentive. Must finance through NMAC to qualify for incentive. 2017 Nissan Leaf SV ** 100% ELECTRIC** CARFAX One-Owner. Clean CARFAX. 2017 Nissan Leaf SV Pearl White, **BLUETOOTH**, **NISSAN CERTIFIED**, **HEATED SEATS**, CARFAX 1 OWNER, Super Low Miles!, *BACK UP CAMERA*. Nissan Certified Pre-Owned Details: * 167 Point Inspection * Vehicle History * Transferable Warranty (between private parties) * Warranty Deductible: $50 * Limited Warranty: 84 Month/100,000 Mile (whichever comes first) from original in-service date * Roadside Assistance * Includes Car Rental and Trip Interruption Reimbursement Executive Jeep Nissan , a short drive from MA, NY, RI, NJ, and VT. Our guests enjoy an exceptional shopping experience with our courteous, knowledgeable staff. Our accelerated sales process respects your time, and our transparent fair market pricing takes the hassle out of car shopping. Every vehicle is provided with the safety inspection and complimentary history reports. To make your life a little easier, we are even open Sundays for sales and service by appointment. Price includes Nmac incentive. Must finance through NMAC to qualify for incentive. 2016 Nissan Rogue SV**CARFAX One-Owner. Clean CARFAX. **BLUETOOTH**, **NISSAN CERTIFIED**, CARFAX 1 OWNER, **ALL WHEEL DRIVE**, *BACK UP CAMERA*. Nissan Certified Pre-Owned Details: * Limited Warranty: 84 Month/100,000 Mile (whichever comes first) from original in-service date * 167 Point Inspection * Includes Car Rental and Trip Interruption Reimbursement * Transferable Warranty (between private parties) * Roadside Assistance * Warranty Deductible: $50 * Vehicle History Executive Jeep Nissan , a short drive from MA, NY, RI, NJ, and VT. Our guests enjoy an exceptional shopping experience with our courteous, knowledgeable staff. Our accelerated sales process respects your time, and our transparent fair market pricing takes the hassle out of car shopping. Every vehicle is provided with the safety inspection and complimentary history reports. To make your life a little easier, we are even open Sundays for sales and service by appointment. Price includes Nmac incentive. Must finance through NMAC to qualify for incentive. Here at Executive Nissan, we want you to drive home to Northford in a used vehicle you feel good about. That’s why we thoroughly inspect each vehicle for quality. You can rest assured that our highly-trained service technicians have checked all of the essential components and that the pre-owned vehicle you choose will be operating safe and sound. If you’ll be trading in your current vehicle, you can even value your trade before your visit. We’re currently offering a $3k value for any trade for customers who participate in our Off the Wall Sales Event. Once you’ve browsed our inventory online, contact us to schedule your visit to our showroom in North Haven. Our friendly sales team is standing by, ready to assist you with anything you need.